To many people, Didier Drogba represents exactly what Chelsea FC have stood for under the AbramovichÂ era. HisÂ strength, pace and cutting personality seem toÂ coincide with just what Mr Abramovich set out to achieve when he first arrived at Stamford Bridge. However, after seven seasons of spearheading Chelsea’s attack as they strived toÂ fulfil their burningÂ obsession of Champions LeagueÂ success, it appears that Drogba’s time as Chelsea’s main man is over and rightly so. Many managers have come and gone since Abramovich’s arrival in SW6 but there has been very little change regarding the core strength of the starting XI. With Cech dominatingÂ in betweenÂ the sticks, TerryÂ marshallingÂ the defence and Lampard prowling the midfield, Drogba was given a license to throw his weight around on and off the pitch. After Luiz Felipe Scolari was dismissed following a 0-0 draw at home against Hull, he accused Drogba and the other leading players at Chelsea of turning the dressing room against him,Â specificallyÂ singlingÂ out Drogba and Ballack. I doubt there are many people out there who would doubt Scolari’s claims as it is quite abundantly clear that the Chelsea dressing room was very much controlled by the players. Whether it be due to Scolari’s poor English or the lack of faith the players had in their manager, Scolari never had control of the dressing room and lasted barely eight months in charge. Times have changed since then. Despite spearheading the club to a Premier League and FA cup double, Carlo Ancelotti was sacked at the end of the following season following aÂ trophy-less campaign which also signalled the beginning of the end for Drogba. Following the arrival of Fernando Torres from Liverpool in the club’s 50 million record breaking transfer, Drogba has seen himself slowly slipping down the pecking order of Chelsea’s attack. Despite Ancelotti trying to pair Drogba with Torres for the first few months of Fernando’s time at Chelsea, it soon became very clear that it was never going to work. 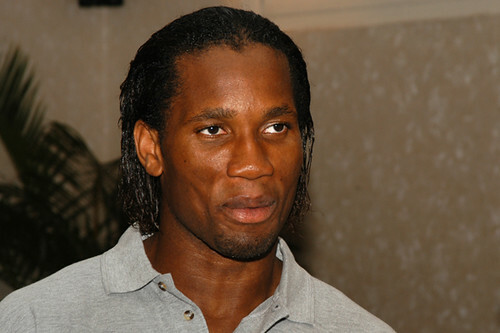 Even before Torres’ arrival, Drogba had been suffering. Ancelotti’s first season in charge saw Drogba finish as top scorer in the Premier League but despite a hat-trick on the opening day of the following season, Drogba’s form soon went downhill. After it was revealed that Drogba has been carrying malaria for over a month, the club insisted that Drogba would soon make a full recovery and be fighting fit within days. This was not the case. Drogba never quite reached the same level of form he had been in the previous season, nowhere near it in fact. This clearly worried Abramovich as he felt the need to splash the cash on Fernando Torres. Some insisted that upon Torres’ arrival, Drogba’s days at Chelsea were numbered but AncelottiÂ reassuredÂ Drogba that he would find a formation to suit both Torres and him. This never did quite work and Ancelotti was soon dismissed. Following Andre Villas-Boas’ arrival at Chelsea this summer, all the talk was not of Drogba but of Fernando Torres. The big question for the new young manager was; how will you get Torres scoring again? After Drogba’s poor previous season, the view shared amongst most Chelsea fans was that the team had to be built around Torres and it has been. So much so that specific players were bought in to aid Torres in his quest for goals. There isn’t doubt as to why Juan Mata and Raul Meireles were signed in the summer transfer window or as to why Chelsea were so keen to sign Luka Modric fromÂ Tottenham. They wereÂ identifiedÂ as the players who would get Torres scoring again. It must of been clear to Drogba that he was set to spend the season as second string to Torres because it was very clear to Chelsea fans who the main man was going to be upfront this season. Torres started the opening game of the season and Didier was left to watch from the sidelines. It was to become aÂ reoccurringÂ theme as the season progressed, especially after Torres finally found the back of the net with anÂ exquisite finish at Old Trafford. It has only been after Torres stupidly lunged in with two feet against Swansea that Drogba has been given a chance to stake a claim within the team. A chance he has not grasped. In Torres’ absence, Drogba has been non-existent. The attacking play has been very good with Drogba playing, the problem being that Drogba has been largely uninvolved with the play going on around him. This was the case again yesterday as Drogba became increasingly frustrated at the lack of the ball he saw. With Chelsea already down to ten man and Drogba rifled, he made a ridiculous tackle to try and retrieve a ball he had lost and rightlyÂ receivedÂ a red card, leaving his team-mates with nine men after only 40 minutes played. As anÂ experiencedÂ pro and a Chelsea icon, it simply wasn’t good enough. With Torres back from his ban next weekend, I would not be surprised if Drogba didn’t start again for Chelsea in the league. Torres has shown glimpses that he is nearing his prolific best and with Drogba seemingly only going downhill, it makes no sense to give Drogba game time or a new contact for that matter. With his current deal expiring at the end of the season, I believe it’s time for Drogba and Chelsea to end their turbulent love affair. Drogba was exactly what Chelsea needed when he arrived and he has provided six excellent seasons which has cemented him a place within Chelsea hearts but surely it makes sense for Drogba to call it a day at Chelsea before he further damages his relationship with the fans. There have been low points of the love affair, such as Drogba’s moronic slap on Vidic in the Champions League final as well as his foul-mouthed outburst on live TV after Tom Henning Ovrebo’s pathetic ‘refereeing’ display during the second leg of that champions league semi-final with Barcelona. Let’s not forgot theÂ unbelievableÂ highs though. Drogba’s (offside) goal at Old Trafford to make it 2-0 which effectively clinched the title that season will always have a special place in my heart. From the same season, his breathtaking performance at the Emirates in which he scored twice is another game I will never forget. His stylish slideÂ acrossÂ the turf and then a cheeky salute at the camera after he scored his first will remain one of the iconic images from the Premier League era. So whilst Lampard and Terry fight off claims that they’re past it, it’s time for Drogba to accept it and bow out in style. I for one hope he goes out with aÂ bang, just not the sort of bang he aimed at Nemanja Vidic on that rainy night in Moscow many years ago. You can read more from Aidan on his blog or follow him on Twitter. Well,the title of your article got me interested. I had thought you were writing a piece on Didier ‘falling’ ”Adriano-style”,upon reading I was relieved that you pointed out that it was more a matter of ‘falling’ ”Rio-ishly”. Drogba surely has crved a chapter for himself in the Stamford Bridge ”Book Of Fame”,not so much for broken records but more for his contribution and persona. I rather liked his outburst after Ovrebo’s display, actually. You can’t blame a man for being angry when he is cheated. I believe that he could find further success at another club. AC Milan comes to mind. Great article… and before this morning I 100% agreed with you. But Drogba’s performance against Valencia this morning has been stunning. Whether it’s his swan song game or a late resurgence, he may still have something to offer Chelsea this season – especially in the abscence of Torres firing. Still, I can see him leaving for a mega rich club… PSG or Anzhi anyone?